The Searchable Ornithological Research Archive (SORA) publishes articles generously shared by ornithological publications around the world. 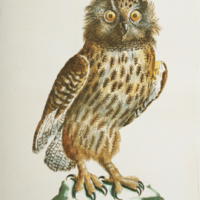 Some of these publications date to the late nineteenth century, and most contain fantastic drawings and photographs of birds. This exhibit, curated by University of Texas at Austin graduate student Anna DeKoning, celebrates these wonderful and often forgotten visuals. The study of birds, their biology and habits, habitats and evolution and a multitude of other aspects of birds, has a long tradition within the discipline of zoology. 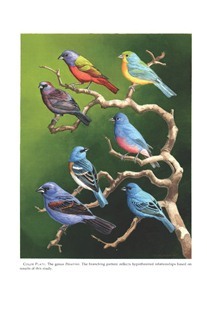 There are no degrees in ornithology and most come to the study of birds through a BS/BSc in zoology. Most research-based jobs require at least a Masters level qualification (MS / MSc) and with increasing specialism, a Doctorate. Many people take up ornithology as a hobby, especially tracking migrations and noting population changes throughout the seasons. Bird watching is a keen pastime in the UK for example, and many people in the amateur community carry out vital work in the scientific study of birds - conservation charities are reliant on keen “twitchers”. Charities such as the RSPB, for example, encourage the active participation of bird study and conservation. Welcome to And Yet She Persisted: Women at UNM and Across New Mexico. This ongoing digital humanities project explores women's history in the Land of Enchantment. 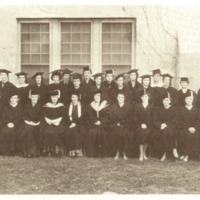 Currently, it focuses on women's academic achievement at the University of New Mexico. 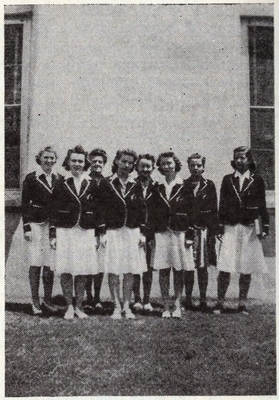 We hope that the project will grow to include the stories of women throughout the state. Currently, this exhibit includes data and visualizations, interpretive essays, and links to primary sources, all of which highlight UNM Libraries' unique collections and the services DISC can provide to student, faculty and community researchers. We encourage you to explore the project and add your thoughts and observations*. You can also contact us anytime. "And Yet She Persisted" was conceived and curated by Mary Wise, PhD candidate at the University of Iowa, and Amy Winter, Program Specialist, of the Digital Initiatives and Scholarly Communication Program (DISC) in the College of Libraries and Learning Sciences at the University of New Mexico. The launch in March of 2018 celebrated Women's History Month and the arrival of Garnett Stokes, UNM's first female president. We’d like to thank Clark McLean for pointing us to the lists of degrees conferred from the course catalogs; Portia Vescio, University Archivist, for her invaluable help in locating relevant primary sources in the UNM Archives; Patricia Campbell, Marketing Manager, for the exhibit title and launch assistance; Scholarly Communication Graduate Fellow Pamela Herrington for research assistance and preparation of biographical information; and Adrianna "AJ" Jenkins and Alexis Rippy for digitization assistance. *All comments are moderated. Please contribute meaningfully to the dialogue to have your comment approved! Welcome to the Route 66 Photographic Survey and Exhibit! This digital exhibit is the direct result of the Route 66 Photographic Survey and Documentary Project and the Center for Southwest Research and Special Collections “Life and Times on New Mexico Route 66”. The Route 66 Photographic Survey and Documentary Project was completed between August 2013 and May 2015 by Donatella Davanzo, with funding from the Center for Regional Studies at the University of New Mexico. The photographic survey documents all structures existing on Albuquerque, New Mexico’s stretch of Route 66 during that period. 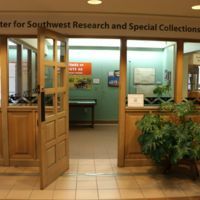 From September 2016 through December 2016, the Center for Southwest Research and Special Collections celebrated the 90th anniversary of Route 66 (1926-2016) with a lecture series and “Life and Times on New Mexico Route 66” exhibit. Currently, this digital exhibit includes an interactive map of the Route 66 Photographic Survey and Documentary Project’s images and a photo gallery of the “Life and Times on New Mexico Route 66” exhibit.